If you want to import a vehicle into Australia, be aware that your status and the age and origin of the vehicle will determine if the car can be imported. They also affect the documentation you need to present . What are the regulations during the import process? The Registered Automotive Workshop Scheme (RAWS) allows the importation of used specialist or enthusiast vehicles into Australia. Only a RAW can import a used vehicle into Australia . First, you should find out if your make and model of car is currently approved . If it is not approved a RAW  may import it for you. Check if your car is eligible . Before obtaining a Used Import Plate (required for first registration and for use as transport in Australia), the RAW must modify the car to ensure that it meets minimum safety and environmental standards from the Australian Design Rule (ADR) . 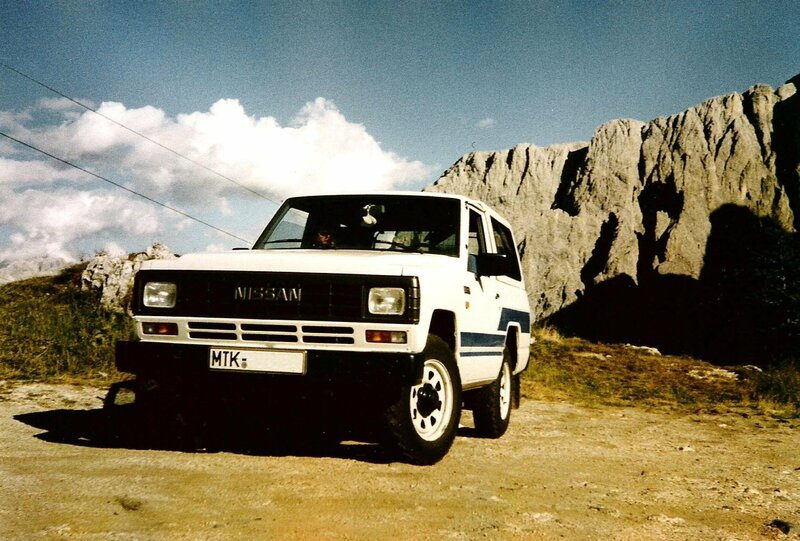 Specialist and Enthusiast Vehicle Scheme (SEVS) eligible. You can apply for eligibility SEVS . A two or three wheeled L-group category vehicle (motorcycle) that meets the requirements for importation through RAWS. Owned and used in the country of origin for a period of more than 12 months by the importer. Originally manufactured or sold in Australia and carries the compliance plate fitted at the time of original manufacture. Manufactured before January 1st 1989. Newly purchased and manufactured to meet with Australian safety and emission standards. VIA must be obtained before arrival in Australia. Applications normally take between 4-6 weeks to be processed and returned. You can apply online for the VIA . When doing the application online an AU $50 fee and documentation are required . In case you ship for a temporary period of time, VIA is not required but you will need a Carnet de Passage . Also, the vehicle can’t stay in Australia longer than the allowed and cannot be sold. On arrival at destination every used vehicle has to go through quarantine inspection on quay . If the vehicle doesn’t pass inspection: it will be cleaned in a cleaning depot on the wharf and then, re-inspected. If the vehicle passes the inspection or is new: you choose to collect your vehicle from a depot or a haulier can deliver it to a specific address. Your vehicle also must be checked by the State Department Motor Vehicle Registration service who will provide you a Road Worthiness Certificate. After the fees payment, you will be provided with a yearly registration label. This need to be displayed in your vehicle windscreen together with the Australian number plate assigned to your car. Roadworthy Test approximately AU $200. Registration fees approximately AU $500 – AU $600. Stamp duty fees 3%-6.5% of the car value. Once the car is registered, Part 3 of the Personal Import Approval must be forwarded with the fee to the company identified on the Personal Import Approval form. You will be provided with a Personal Import Plate which means that your vehicle is fully approved and registered for use in Australia . 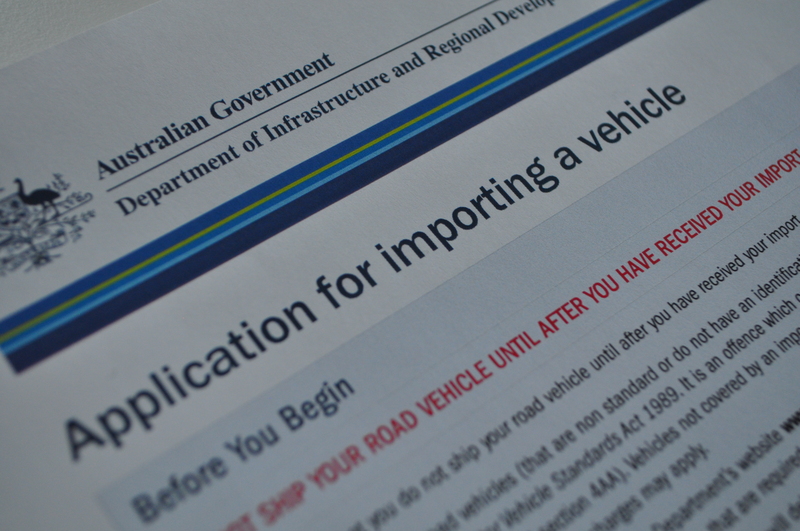 Sign up today for all information regarding car import regulations in Australia. AUCO team is also happy to solve any queries you may have!